Max and Helen were having a terrible, horrible, no good day. 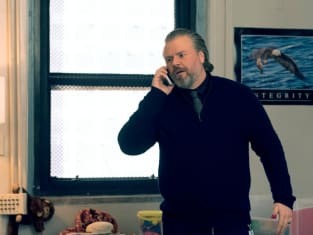 Fortunately, by the end of New Amsterdam Season 1 Episode 15, things were looking up for the besties. They survived the day and helped others in the process. In the end, that's all one can ask. 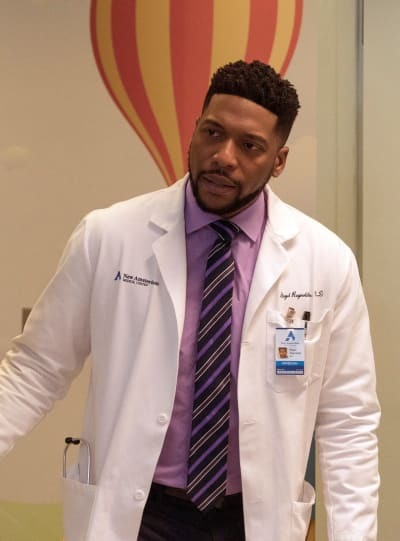 Even though this series is a more feel-good and wholesome than other medical series, it'll still have you disillusioned and disappointed in the state of the healthcare system. A system in which a family can't afford the medication to treat their son because of an astronomical cost of $9000 a month for meds is not an ideal system nor is a system where a devoted Catholic married couple has to defy their religious beliefs to save their child. Little Jimmy's case was the most infuriating one of the hour. He had a transplant, which was covered by health insurance. However, he required monthly medication to treat him post-surgery, and his parents despite working and his father having a decent job, couldn't afford to treat him. It's no surprise that the couple felt they could make the medicine stretch by not giving Jimmy the meds every day. They opted for every other day, and you would hope that wouldn't make much of a difference. It made a huge difference, as that is what put him back into the hospital. It was a hell of a reality check when Floyd kindly told Jimmy's parents that they should avoid doing that again and the boy's parents bluntly told Floyd that it would happen again. I'm sorry, OK? The system is flawed, but so is the solution. I can't think of a better one. Permalink: I'm sorry, OK? The system is flawed, but so is the solution. I can't think of a better one. I respect how honest they were about the whole situation. It's absolute insanity to consider that Patricia as a single mother could receive more help and aid for Jimmy than the married couple. Those are the type of slippery loopholes that everyday people look for to navigate a flawed system. There are limitless unorthodox solutions Max brainstorms to work around the system, but prescribing a divorce took the cake. It seemed like a simple enough sacrifice the couple had to make to save their son, but then it was revealed that they were devout Catholics. For them, divorce was a sin, and they didn't take it lightly. Left with no other choice, they had to give into it, but it was evident problems would arise when they had this conversation in front of Jimmy. Jimmy probably felt awful and blamed himself for his parents having to sacrifice so much to save him. He was afraid he would be separated from his parents in the afterlife if they divorced and went to hell. Thank, well, God, that the Cardinal was there to reassure Jimmy. The Pope's arrival was mostly played up for entertainment with Kapoor's obsession and being on a watch list and Max's annoyance over how much space they took up. Jimmy: I wish I was old. Walter: I wish I was young. Permalink: I wish I was young. Fortunately, the Vatican guards and secret service were useful too when it came to finding Jimmy and reassuring him by having the Cardinal extend the Pope's blessing of his parents' divorce. However, Jimmy's sweet, simplistic and poignant moment with Walter as they both wished they were the other's age was a lovely moment as well. Walter's situation brought out the Goodwin in Helen. She was channeling Max from the moment she was swept into the love of Walter and Sheila. Walter's decision to stop his treatment wasn't advisable, but Helen couldn't deny that he was a man in love and happy. Sometimes that matters more. Helen wasted no time advocating for Walter, and it put her up against the state's appointee. Carl wasn't a bad guy, and I loved that even when he and Helen were on different sides and arguing their points, you could tell they both had Walter's best interest at heart. It was even better when they teamed up with one another and had the judge reverse her decision. Walter and Sheila could get married, and Sheila could tend to him. 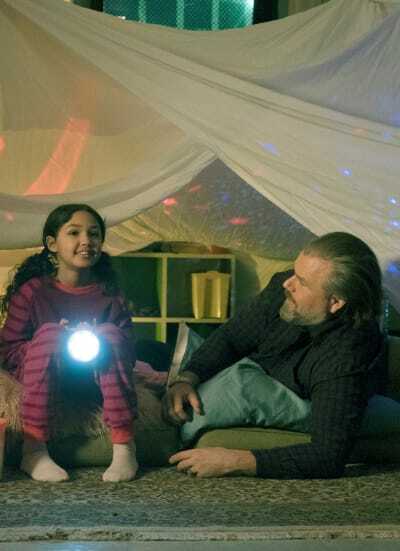 She could give him the love and care that he needed the most, and it was more than Carl, who had plenty of other seniors he looked after, could provide. Will love cure Walter? No, but it will heal him in other ways. Permalink: Will love cure Walter? No, but it will heal him in other ways. Carl was passionate about his job, and he was in it for the right reason. I loved the resolution of this case, but if it didn't have as happy of an ending, Walter would have been in the best hands with Carl. 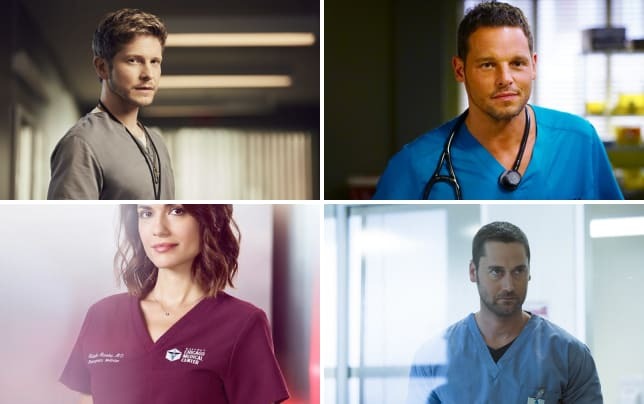 Related: Grey's Anatomy Round Table: Was the Milestone Episode Underwhelming? Max's friend was in the best hands too, but the reality of his situation and mortality had him panicked, spiraling, snapping at Helen, and stressing out a roomful of expected parents. There is a lot that Max needs to learn about fighting cancer and recovering from it. He has slowly integrated himself into his chemo group, but it's taking him some time to adjust to their ways of coping. He couldn't fathom making fun and cracking jokes about their conditions. Max is a damn fine doctor, but he's a terrible patient. He's accustomed to giving patients all the advice in the world, but he couldn't practice the positive mindfulness necessary for situations like that. Max was scared, and it was catching up to him. His friend falling ill was a reminder of his mortality, and suddenly all of it was too much. He couldn't help but think about what would happen if he weren't there for Georgia and the baby. Max "what if" himself into a tizzy. It's as though time is running out. Georgia is damn near 73 months pregnant, and the baby could arrive any day. Max: What you need to focus on is getting ready. You need to get ready just in case. Georgia: Just in case what? Max: In case I'm not there. Permalink: In case I'm not there. He has a lot on his plate running a hospital, going through chemo, and expecting his first child. It's the first real-time it appeared that he let everything sink in, and he freaked out. Fortunately, Georgia knew how to soothe him. The moment between them was one of the sweetest moments of the hour. Georgia has handled everything so well that Max assumed she didn't have moments where she freaked out. She assured him that she did, and she told him how she handles it when that happens. Life is fleeting, and Georgia tries to stay in the present. Max needed that moment to feel everything and then calm down. Despite him snapping at Helen, he also needed her explaining the various coping methods. Now that he better understands the humor portion, and he knows that Georgia worries too, but staying in the moment and keeping positive is what's best, he could engage in the cancer puns with his group. Max isn't the only one who needed to learn a lesson. Iggy learned a little something from his daughter. It's funny that he's a psychiatrist and his job is to listen to people, but when it comes to loved ones, he fails. The group hug Iggy, Martin, and his daughter shared was one of the most adorable scenes of the installment. Despite Lauren's admission during her group, I still think Iggy was correct when he advised Floyd to give Lauren some space. He elaborated on it more during this installment, but it was sound advice. According to Lauren, however, Floyd's visit meant the world to her. It was the type of motivation she needed to fight her addiction. It reminded her why she was there and that she had something for which it was worth fighting. It seems as though Lauren is on the right path, especially now that she's open to communicating with her group. For an hour of emotional moments, someone had to bring the humor. Kapoor was that someone. He kept digging a deeper hole for himself talking about the Pope and explaining the gift that led to him being placed on a watchlist. I didn't think I had anything to go back to. But then the other night, a friend of mine came to visit, and I'm just really grateful he did. Kapoor not using email suits his character, but it was a tug at the heartstrings when he realized much later that the password to his email was his son's name. Over to you New Amsterdam Fanatics! Which case affected you most? Did Max's mortality meltdown hit you in the feels? Hit the comments below! 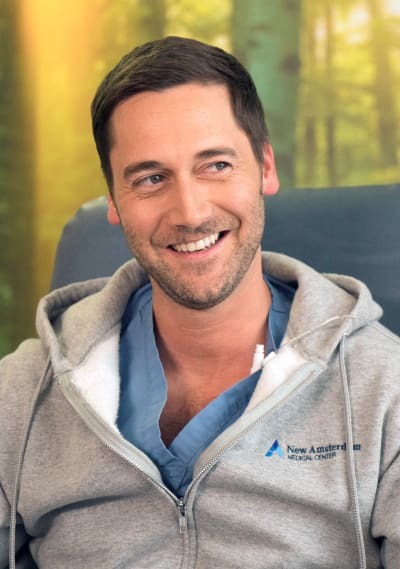 You can watch New Amsterdam online here via TV Fanatic. I hate to say this, but I can kinda tell you're here. Permalink: I hate to say this, but I can kinda tell you're here. Haven't you ever been in love? What wouldn't you give for just a little bit more of it? Permalink: Haven't you ever been in love? What wouldn't you give for just a little bit more of it?